New Zealand, South Africa & Australia are performing as expected, and nothing seen has changed any predictions of the All Blacks, Springboks & Wallabies making the semis of the Rugby World Cup in France. But finally a Northern Hemisphere team has looked like a team that’s come here to play. 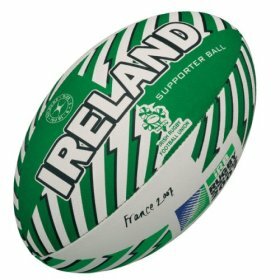 France’s defeat of Namibia at a hefty total of 87-10 puts the Irish performance in dire perspective. Ireland managed eke out a win against Namibia 32-17. But they haven’t been alone. Thus far we’ve had England only just managing to put away the US 28-10 then getting a thrashing to the tune of 36-0 from South Africa. Wales struggled against Canada, then was soundly beaten by Australia – despite a home ground advantage & quite a few dubious decisions in their favour. Ireland had to be licking their lips post France’s opening day loss to Argentina, but their performance against the two ‘minnow’ teams in Namibia & Georgia has been anything but encouraging. Verily, they were damn lucky to walk away with a win against a courageous Georgia. France looked well under-done against Argentina, but this win against Namibia exhibits just a little of what was expected from the Northern powers, but up to this point, has not been forthcoming. The All Black dismantling of Portugal is no surprise. Verily, the only surprise in that match was that the Portuguese managed to get a try. The Welsh losing to Australia doesn’t surprise either – was expected, and although a spirited second half saw the Dragons narrow the gap, on current form no amount of local-crowd advantage was going to help. I’m posting this after getting a request as to what other war dances exist that are performed at the beginning of Rugby… after doing my piece on the All Black haka, Understanding Rugby: The Haka. So, there are a few other pre-match dances that occur… the Fijians perform the Cibi, the Samoans the Siva Tau, and Tonga have the Kailao. Without a doubt, the Haka of the All Blacks is more renowned, but others are definitely more war-oriented. The Haka is a dance of celebration, of life-over-death. Each of the others is an actual war-dance. The Cibi has origins in the warring between other pacific island nations, and was used first in the Fijian national team’s pre-match warm-ups during a tour of New Zealand in 1939. 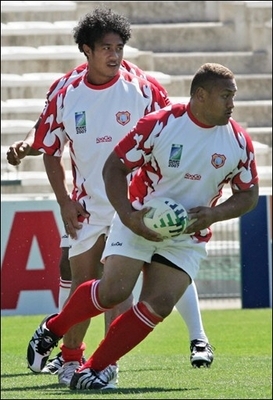 They went on to become the only nation ever to tour New Zealand, and remain undefeated. O kaya beka au sa luvu sara Don’t think I’m drowned too? With the Rugby World Cup just around the corner, With Malice… will explore some of the history of the game. Today, the haka. So, the Haka. Why? Why do the All Blacks do the Haka at the beginning of rugby matches? What’s it’s purpose? The Haka is simply a traditional dance native to New Zealand’s Māori people, and there are many different kinds of haka. But for all intents & purposes, we’ll be looking at the ones performed by the New Zealand national rugby team: The All Blacks. The All Blacks perform two haka – the ‘Ka Mate’ and the ‘Kapa O Pango’. The Ka Mate is the traditional haka, and it was first performed as part of the pre-match ritual for the All Blacks in 1906, and is basically a celebration of ‘life over death’. Ka mate! Ka mate! Ka ora! Ka ora! I die! I die! I live! I live! A upa … ne! ka upa … ne! One upward step! Another upward step! A upane kaupane whiti te ra! An upward step, another.. the Sun shines!! More looks at the Rugby World Cup… who’ll take the honors in Pool B? 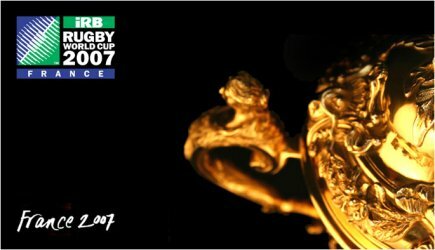 Will the Wallabies progress far? Read on, and find out… from the pen of The Riddler! Seeded number two for the world cup based on their runner up effort from 2003. They have the best record of any nation in term of world cup wins having hoisted the trophy in 1991 & 1999. However the current Wallaby side is but a mere shadow of those squads. There is no doubt they have the talent to potentially go all the way but far too many ifs and buts.